The nursing degree that requires the least amount of education is the associate's in nursing, also known as an ADN (Associate Degree in Nursing). An ADN is a two-year program and is a popular way to enter the nursing profession. Many ADN's go back to earn their BSN. Coursework for the ADN includes courses in anatomy and physiology, chemistry, sociology, and even English and writing and must successfully pass a licensure exam to practice. The bachelor's of science in nursing requires four years of tertiary education, especially if it is an individual's first bachelor's degree. Many of the courses taken by ADNs are also taken by BSNs. The difference is that BSNs have substantially more nursing clinical experience and education than an ADNS. Essentially, they have much broader exposure to their education. Like ADNS, BSN nurses need to become certified with a license to work. The best programs for BSNs are Johns Hopkins University, the University of Pennsylvania, and the University of Washington. These are competitive schools in general, so students must have high standardized test scores and high GPAs to be admitted. Johns Hopkins, the University of California - San Francisco and the University of Pennsylvania in particular only admit about 10-15% of all applicants. It is not uncommon for students to have a GPA over 4.0 and near perfect SAT scores. After earning a BSN (bachelor of science in nursing), nurses have the option of completing a Master's Degree in Nursing. 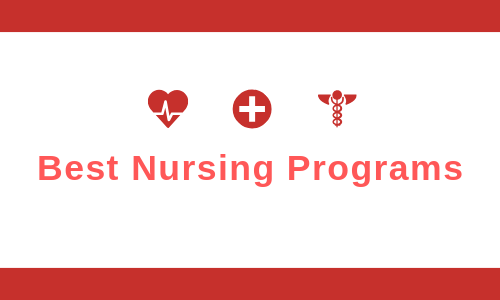 Most of these programs are two years long if nurses choose to complete them full-time. However, most continue to work while earning the degree. The master is a specialized degree with technical skills to focus on a specific area of health. Possible career paths include nurse anesthetist, nursing administrator, nurse midwife, or nurse practitioner. Some of these master's programs may be completed online. The best schools to receive your MSN are the same schools to receive your BSN. These schools are the University of Pennsylvania, Johns Hopkins University The University of California - San Francisco, and the University of Washington. Some of these programs offer degrees to students transitioning from a different field. For instance, Johns Hopkins admits students to programs designed solely for students with an undergraduate degree in a major other than nursing. For the most part, though, applicants need to be a licensed nurse with a bachelor's of science in nursing. GPA's need to be above a 3.0. Some require GRE but many do not require them. An online application and letters of recommendation are also usually necessary. The U.S. Bureau of Labor Statistics estimates that the job market for nurses will continue to grow at nearly 20%, much faster than the vast majority of other professions. The median salary for a nurse is around $70,000s. A comfortable salary and decent job outlook are drawing more and more people to the nursing field. As demand for nurses grows, so too does the availability of nursing programs and types of nursing degrees. Nurses may earn an associate's in nursing, a bachelor's of science in nursing, or a master's degree in nursing which allows individuals to be nurse practitioners or midwives earning up to six figures. Finally, nurses may work in a variety of settings. The vast majority work in hospitals (over half) though some working in nursing and care facilities, doctors' offices, in home health care environments, or for the government.